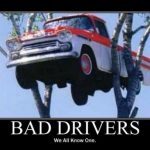 Bad driver rates may go up as ICBC has a plan to increase basic insurance based on driving history. This could mean bad drivers would no longer be subsidized by good drivers. According to ICBC, drivers causing multiple accidents will lose their safe driver discount much faster under the change. Under the current system, drivers who remain 15 years claim free can have multiple crashes without a rate increase. The number of crashes in BC has increased by 20,000 claims per year recently. “Drivers who make good driving decisions should pay less than drivers who cause multiple crashes.” says Mark Blucher, ICBC President and CEO. An application is underway to the BC Utilities Commission to have these changes take effect May 6, 2018.